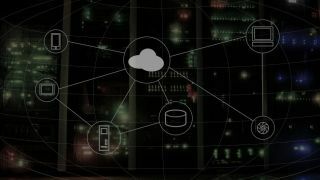 In an increasingly connected world, international cloud storage has become a requirement for global enterprises. With a growing worldwide audience, enterprises need data storage to keep applications performing at the same level for users in any location. While multinational cloud storage improves connection speeds and access for international users, it also comes with a multitude of privacy complications. Enterprises must navigate countries’ differing attitudes and regulations around data privacy, adapting to changing legislation and cyberwarfare tactics. If they take the plunge into international data storage for improved customer experiences, organizations should prepare to respond to the resulting risks. With connectivity and latency driving international cloud strategies, how do enterprises ensure security doesn’t get left behind? Worldwide cloud connectivity ensures enterprises can facilitate adequate latency and quick, seamless user experiences to customers around the globe. But providing a better service comes at the cost of significant compliance challenges, with inconsistent privacy environments between countries. Internationally, the hundreds of differing and intersecting data security laws are difficult to keep up with. These regulatory disparities create obstacles for simple, secure data storage. Germany, regarded as one of the countries with the most stringent data privacy regulations, enacted the world's first data protection law in 1970. In 2015, the country passed a law requiring information extracted from German citizens to live exclusively on servers within Germany’s borders. With the implementation of the General Data Protection Regulation (GDPR) last year, the rest of the European Union is catching up to Germany’s data policy protections. The legislation was designed to unify laws within the EU and provide users with more control over their data – requiring enterprises to be more transparent about data storage and sharing. Other countries, like China for example, maintain entirely different data privacy standards. Whereas the EU set its sights on higher security and criminalizing a lack of data privacy, the Chinese government grants itself authority to access data on any server within China, along with potentially monitoring data traveling in and out of the country. It’s even pried into corporate data stored in other countries, showing a disregard for other governments’ privacy efforts. Of course, many enterprises opt to store Chinese users’ data within China in order to deliver optimal service – but they should approach this with caution. Companies must be careful to not let any other data into Chinese storage space. Failing to maintain this separation could allow the government to exploit the data and compromise the security of those affected by the breach. China’s pursuit of online control continues to surge ahead, mostly recently through its 2018 VPN ban. Organizations need to be aware that anything stored in China is likely under surveillance and act accordingly. Whether it’s a country cracking down on privacy or looking to rummage through your user data, preparing for the unique security environments of each storage location ensures your cloud is secure. Not accounting for the privacy laws of each place you do business could result in legal consequences, or jeopardize the security of your users around the world. For enterprises in today’s business landscape, a multinational cloud presence is an almost non-negotiable component of operations. While global cloud storage comes with the dangers of criminal behavior and legal risks, there are steps you can take to avoid problems and enhance security. Enterprises should follow these guidelines to keep their data secure and protect customers. To counter attacks and keep data secure, you should approach your cloud strategy with skepticism from every angle. Cyberwarfare tactics from states like China and Russia are evolving and becoming smarter. An “assume the worst” attitude allows you to prepare for problems, eliminating any damaging oversights. In the wake of massive privacy scandals like the 2016 U.S. election hack and the Facebook-Cambridge Analytica data breach, consumers are apprehensive of data collection – and governments are beginning to respond. As new legislation materializes that redefines and readjusts the scope of legal data practices, compliance will become more difficult. Your global enterprise will need an adept legal team guiding the way, helping you stay ahead of new laws and maintain compliance. Divvy up your storage in a way that benefits your customers, but preserves security. For instance, while a strong Asia-Pacific customer base may dictate that you establish China-based cloud storage, you should still be cautious about the data you store there. It may be safe to store application UI elements within the country, but for maximum security, customer data should live elsewhere. Take this strategic approach any time your enterprise buys cloud space in a new country with a different set of data privacy standards. Your enterprise may not intend to play fast and loose with users’ data, but countries’ privacy rules can be dense and difficult to follow. Without a watchful eye and in-depth expertise, you may end up in murky territory. For this reason, it’s important to work with a cloud management partner that specializes in global deployments for multinational corporations. They act as a cost-saving, security-preserving resource to provide you the IT skills for projects, protect you from international data risks and equip you with the knowledge needed to run a universally compliant cloud strategy. In 2019, a multinational cloud strategy is a necessary component of global enterprise operations. While you face the risks of intrusive foreign governments and savvy cybercriminals, an effective approach allows you to neutralize threats and spread out storage – bringing users across the world faster connections and a safer digital experience.